Below is a list of the available back issues for Sn3 Modeler. If you are ordering six of more back issues, you may give us a call at (708) 366-1973 and charge them to Visa or MC; if you are ordering six issues or less, please send a check. Final Fall/Winter 2018 issue $9.25 in USA; $10.25 Canada, $11.00 international. Back issues: 1-8 copies, $4.00 each; 9-15 copies, $3.50 each; 16-30 copies, $3.00 each; more than 30 copies, $2.50 each. Add $4.50 postage for 1-3 copies; $6.50 postage for 4-8 copies; $9.00 postage for 9-12 copies; $12.50 postage for 13-18 copies; and $18.00 postage for 19 to 24 copies. Foreign orders contact us for shipping. • Molybdenum on Bartlett Mt. •	2-Ft. Trains of the Chicago Tunnel Co.
•	Round Up Your Critters! 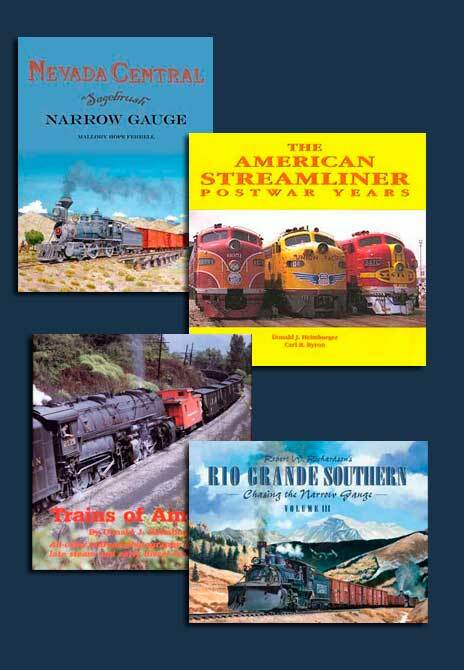 •	Pete Smith's Loon Lake Railway & Navigation Co.
Download information here for S Gaugian.